MiFID II regulation is making inroads to improve transparency despite challenges. The introduction of the MiFID II regulatory regime has created an array of data issues, compounded by the lack of a consolidated tape for European markets, according to a panel of industry experts. 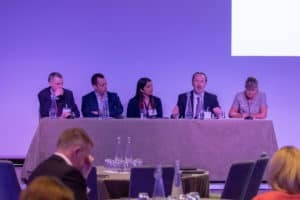 At a recent briefing hosted by ICE Data Services, panellists also acknowledged some improvements in fixed income market transparency, despite new challenges created by the regulation. “We’re seeing consistent feedback from clients about fragmentation and data reliability that’s really an impediment to using it,” said Paul Williams, EMEA head of business development, pricing & analytics at ICE Data Services, speaking about the new trade data in the fixed income markets. “If you are a firm not set up to process all the data and apply checks and controls, this can be a major challenge”. Williams laid out that the available data can, however, be used by specialist providers to provide tools for fixed income market participants. “We can include the available data in our processes with other market information and, by combining with our technology and market expertise, we are able to provide transparency and analytics solutions which are used by the front office on both the buy and sell side”. The issues around MiFID II data were laid out by Andy Hill, senior director of market practise and regulatory policy at the International Capital Markets Authority (ICMA). Referencing an ICMA survey released in December 2018, Hill noted that the vast majority of buy and sell side respondents believe pre- and post-trade data was either difficult or very difficult to access (86%), that data available was unusable (73%) and the price discovery was either the same or worse than pre-MiFID II (90%). RBC Capital Markets’ head of market structure, Mehrin Karim, pointed out that there was still work to be done on improving use of MiFID II data. “The data out there is very difficult to decipher. One of the things we spend a great deal of time doing is sitting with clients trying to help them navigate the regulatory obligations around RTS 27/28 and how to use that,” Karim said. Meanwhile, Brett Olson, head of fixed income iShares EMEA at BlackRock, added that MiFID II had brought a positive impact to improve transparency for fixed income ETFs. The continued lack of a consolidated tape for the European markets has been a contentious point for the industry, with calls for a similar TRACE-style system that currently operates in the US. As Olson noted, attitudes towards transparency in the fixed income markets have changed considerably over the past five years, and the lack of a consolidated tape makes it harder for participants to understand what is occurring in the market. ICMA’s Hill referred back to the recent survey which found that 86% of respondents agreed that a consolidated tape is necessary to provide “a level playing field” for the industry. RBC’s Karim said that a focus on data should be prioritized before work on a consolidated tape could begin in earnest and was confident of more regulatory guidance, although Brexit created some uncertainties. Williams laid out how ICE Data Services is helping its clients navigate these industry dynamics. “We are providing streaming reference prices globally for example, for price discovery, price determination and more efficient checks and controls” he explained. While there are obstacles to improving fixed income market transparency, electronification is making advancements, with both Hill and Williams noting that embracing the technology and data available is key to the next stage of market evolution.